Keeping the bugs out of the RV is a never ending task. 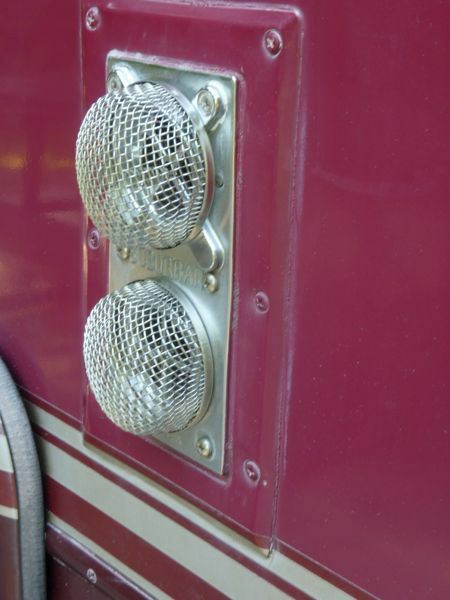 However, a few mods help to prevent them from entering the rig in critical places. Prevention is half the battle. The furnace exhaust is a favorite of wasps and mud daubers to build a nest. In fact, they will use the opening to go all the way inside the furnace to set-up their abode. When this happens it is a very messy and expensive fix. Adding a screen over each opening prevents them from entering. Likewise, bugs can also enter behind the refrigerator and water heater In this case, I installed screening on the inside of the lids. 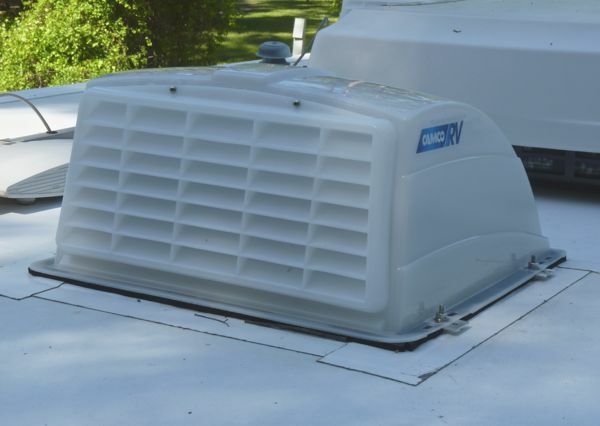 There is also a vent on the roof covering the shaft behind the frig which also has a screen. On the roof are other vents too. The exhaust fans have gotten a super treatment. 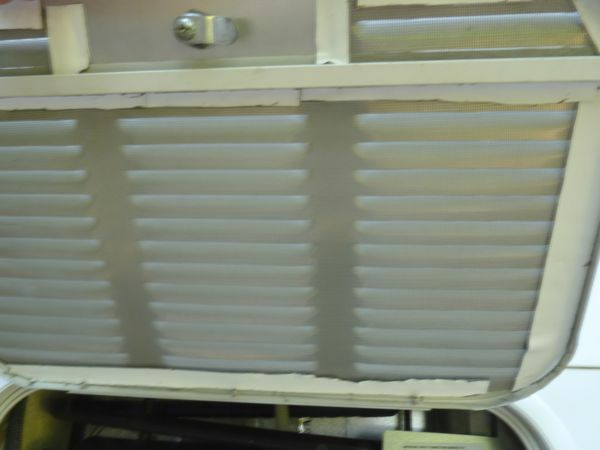 The grill you see allows air to flow, but it also contains a filter to keep out bugs and dust. An additional advantage with the hood is that the vents can remain open when traveling or when it is raining. These solutions mainly hinder flying insects. The creepy crawly type usually have to be dealt with when they appear. But, closing up any obvious openings goes a long way. I will need to inspect the underside of the rig to see if there are any entry points around pipes, etc. So, before hitting the road, I’m doing what I can to keep the bugs out.